(… by the publisher): Andreas Trogisch is not only a discoverer, as a photographer he is a discovery! Unbelievable that his exquisite photographs, which has generated in the past 30 years, have snoozed in secrecy. Now finally parts of his comprehensive work will be published in a series of six consecutive photo folders. All issues are published in an edition of 100 numbered and signed copies by the publisher “Peperoni Books”. 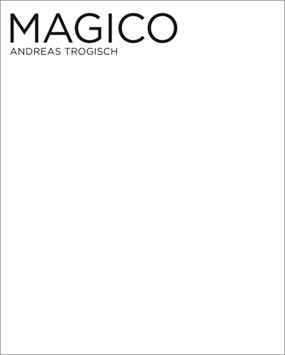 The second folder is called “Magico” and contains 27 BW-photographs, which have emerged at different places of the world between 1991 and 2009. In fact the photographs in “Magico” have a magical aura, they seem to be mysterious and poetic at the same time. Like in his first photo folder “Von Ferne” (“From afar”) Andreas Trogisch creates autonomous pictures of a huge visual power. I see riddles which I maybe don’t want to solve at all. But the images maintain their validity.